Areas of Expertise: Employee Relations; Talent & Acquisition;, Prevailing- Wage Payroll; Conflict Resolution. Jazmin has a Bachelor’s of Liberal Arts degree from LIU Post where she majored in Criminal Justice and minored in Social Work. She has worked within the HR field for 3 years and for companies such as, Fragrancenet.com and MDG Design & Construction. As an HR Coordinator, Jazmin is responsible for providing HR support services to the HR Team and the clients, provides assistance with payroll preparation, record retention, benefits management, recruitment, on-boarding, and also responsible for representing CWS at business meetings and events. 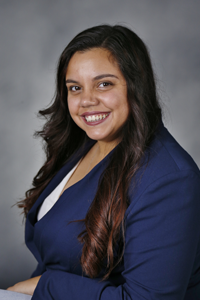 Jazmin continues her work in the HR field because she loves to help others pursue their organizational goals, help others find a company they love to work for, and the ability to work with different people in multiple environments. In her spare time, Jazmin loves crafts and painting, watching football with her family, hanging out with friends, and listening to music.